1. What can I do if a child discloses abuse to me? a. Stay as calm as possible. This may not be easy for your child to talk to you about. If you get upset your child may stop talking. Also, your child may feel that it is his or her fault that it happened. b. Listen to what they have to say and let them know that you believe them. Do not question your child as this could be viewed by a defense attorney as you putting ideas of what happened in your child’s head. Let your child know that you are going to try your best to help them. Do not make any promises because you may not be able to keep that promise. c. File an electronic report with the Pennsylvania ChildLine and Abuse Registry or call 1-800-932-0313 as soon as possible. 2. How can I make a referral to the Adams County Children’s Advocacy Center? All referrals must come from Children and Youth Services and/or Law Enforcement. 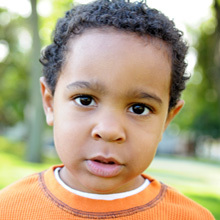 Once a report of child abuse is reported, a referral will be made to the CAC. 3. Who are Child Abusers? Child Abusers can be anybody. The majority of child abusers are someone the child knows or trust. They can be male or female, any race, any economical status. They are usually child friendly, likeable, well dressed, and good with children. Often, they will tell the child not to tell anyone about what they are doing. It is very important to make sure to communicate well with your child and encourage them to talk to you if anyone ever abuses them. Although, most abusers are someone the child knows, there still are reports of children being abused by strangers so you need to talk to your children about strangers. Make sure you know who is watching your child and continue to communicate with your child about what happens while you are not with your child. 4. How is the Children’s Advocacy Center funded? The Children’s Advocacy Center is a non profit organization that is funded through state funding, grants, donations, and our fundraising efforts.